In other words, the first expression translates to, in plain English, "y is the exponent to which b must be raised to get x." For example, 3 = log101,000, because 103 = 1,000. 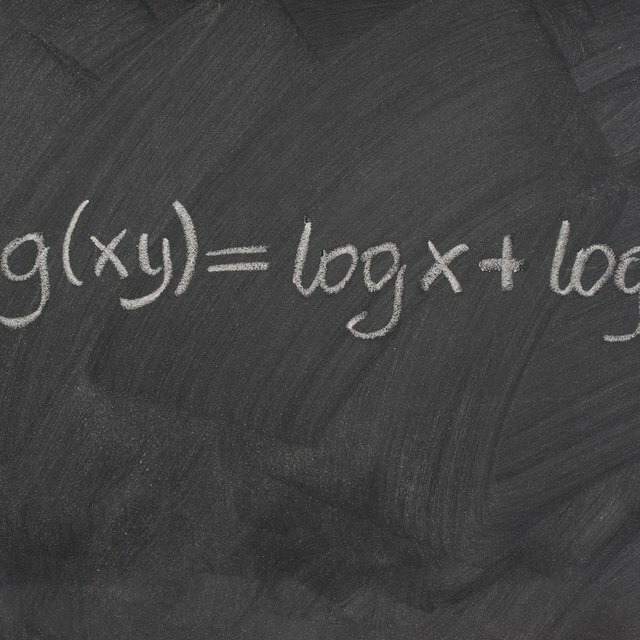 This formula allows you to take advantage of the essential properties of logarithms by recasting any problem in a form that is more easily solved. This can be written as log 50/log 2, since by convention an omitted base implies a base of 10. Since your calculator is equipped to solve base-10 logarithms explicitly, you can quickly find that log 50 = 1.699 and log 2 = 0.3010. If you prefer, you can change the base to e instead of 10, or in fact to any number, as long as the base is the same in the numerator and the denominator. Beck, Kevin. "How to Solve Logarithms With Different Bases." Sciencing, https://sciencing.com/solve-logarithms-different-bases-8323365.html. 04 June 2018.